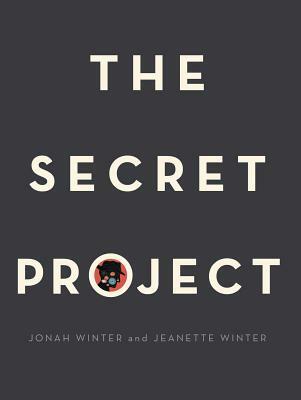 The Secret Project by Jonah Winter and Jeanette Winter offers entry into the study of the atomic bomb and the secrecy surrounding wartime scientific discovery. Classes and families can use this book as a jumping-off point for learning about the events and tensions that brought the world to its current state of nuclear proliferation. The Secret Project could be incorporated into social studies, science and language arts curricula. – the coyotes and prairie dogs, unaware of the coming dangers. It is so easy for the children of today to think of the atomic bomb as something theoretical, historical, inapplicable to their own lives. 1945 seems as distant as 1492, and mass destruction by nuclear weapon is as much a piece of history as the plague. But these characters—they are not theoretical. These students, workers, artists, scientists—they had names and friends and hobbies and hopes and fears and favorite foods. These people ground the events in the book in a relatable way, and a writing activity like this one can help reinforce that. This activity works best with 4th to 8th graders, but can be adapted for both younger and older children. 1. Read The Secret Project aloud with students. Allow time for discussion of the illustrations as well as the backmatter. 2. Ask each student to choose a character from the book, using the illustrations as a guide. 3. Students will create background information for their character—name, age, interests, etc.—using their imaginations, clues from the text, and/or additional research inspired by the book. – What did your character do on this day? – How did he/she feel? – Who did he/she interact with? – What were his/her surroundings like? – What were some of the things he/she thought about, dreamed of, or talked about? – Did your character draw or doodle anything in his/her diary? 5. Classes can share some of these diary entries aloud, then engage in a discussion of what aspects of the character/the character’s life are likely to have changed following the test. 6. Students will write a second diary entry for a date AFTER the Trinity test, reflecting some of the changes the class discussed. For younger children, teachers may wish to provide a diary entry template OR have students draw, rather than write, about their characters. For older students, the activity can be paired with research into the real lives of the scientists and others present. This writing prompt gives students an opportunity to practice critical writing skills such as writing in first person, developing voice, and building character. It incorporates history/social studies and science topics with language arts, providing an opportunity for cross-curricular learning. It helps classes investigate the societal and environmental effects of the Manhattan project at the individual level. Purchase The Secret Project for you reader or readers.